This hour is perfect for everybody who loves to play soccer. It is possible to borrow a football at the Sports Centre information desk. 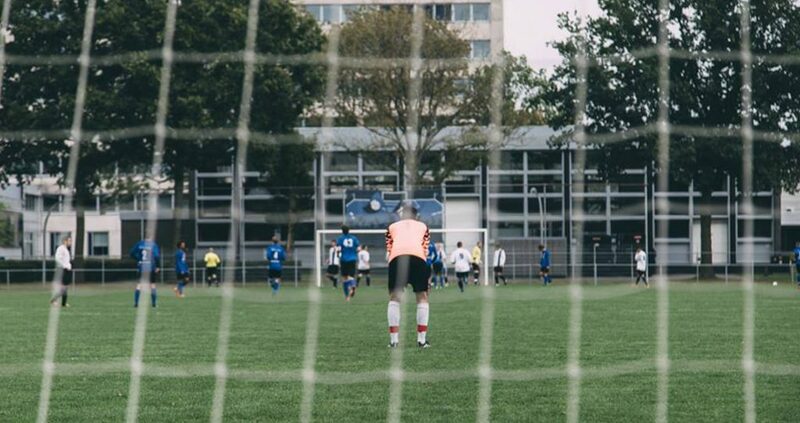 GSAVV Forward is the oldest student football club in the Netherlands. The club has 250 members who all play at different levels divided into 10 teams. Forward is an active club that is well known in Groningen and the rest of Holland. The first team is coached by former professional football player Martin Drent, and plays in the third division. Take a look at the website of G.S.A.V.V. Forward. G.S.V.V The Knickerbockers is the football club for you! Together with us you will make your student time in Groningen an unforgettable time. During the season lots of activities and party’s will be organised with in the end of the season the famous Knickerbocker tournaments. Take a look at the website of G.S.V.V. The Knickerbockers.